Right now the new graduate students to MUN's Department of Folklore are nearing the end of their second week of the Witless Bay Field School. This intensive round-the-clock research methods program is three weeks long and is taking place all around Witless Bay on the Southern Shore. 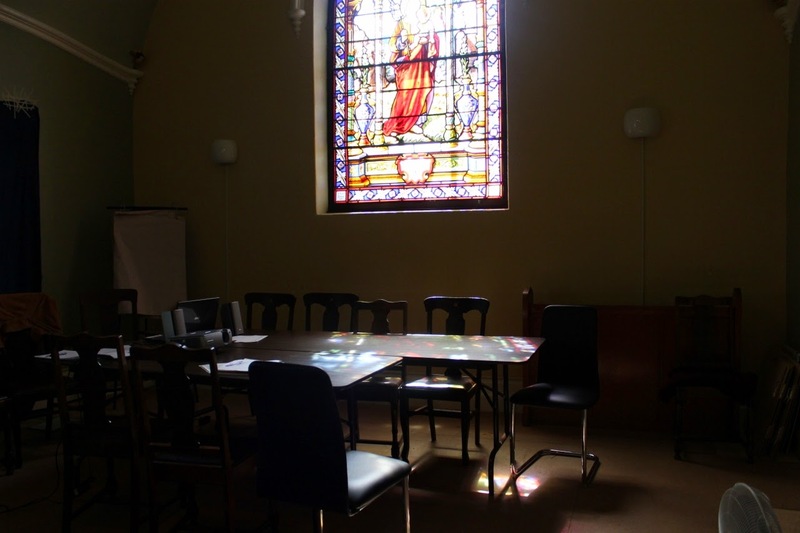 The students are staying together in the local convent--a historic building with many rooms, two large staircases, a confession booth, and a chapel, which is serving as their classroom. 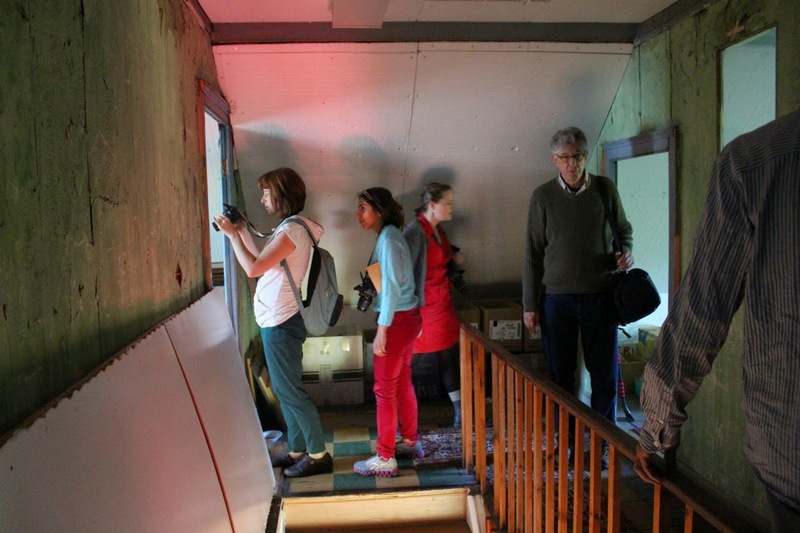 It's also a building that is no stranger to communal living, so it's essentially perfect housing for the field school participants. 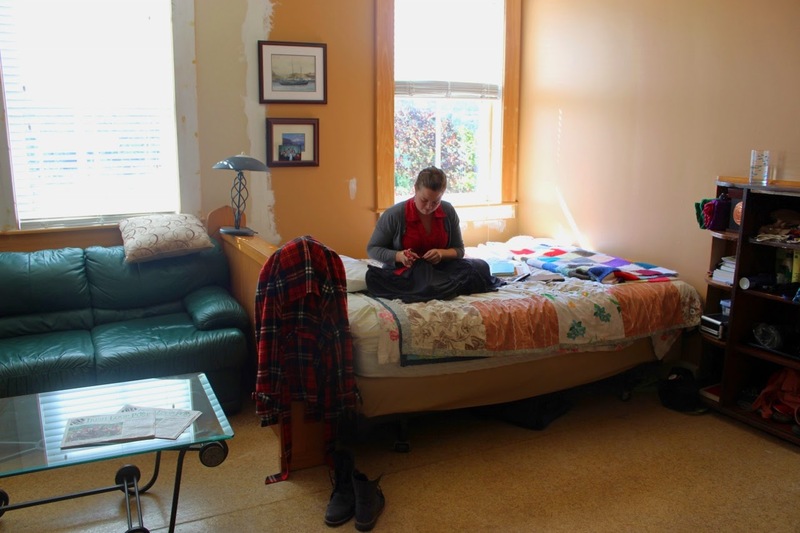 MA student Terra Barrett in her sleeping quarters. 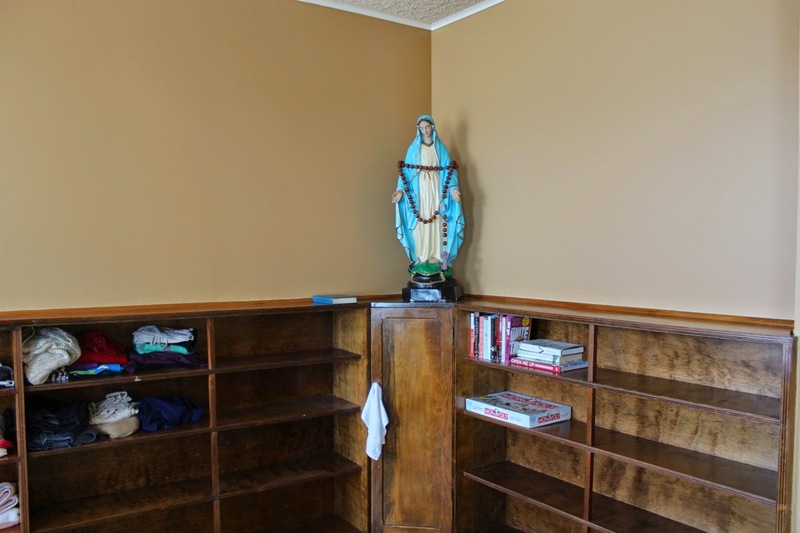 Religious artifacts that come with the territory. 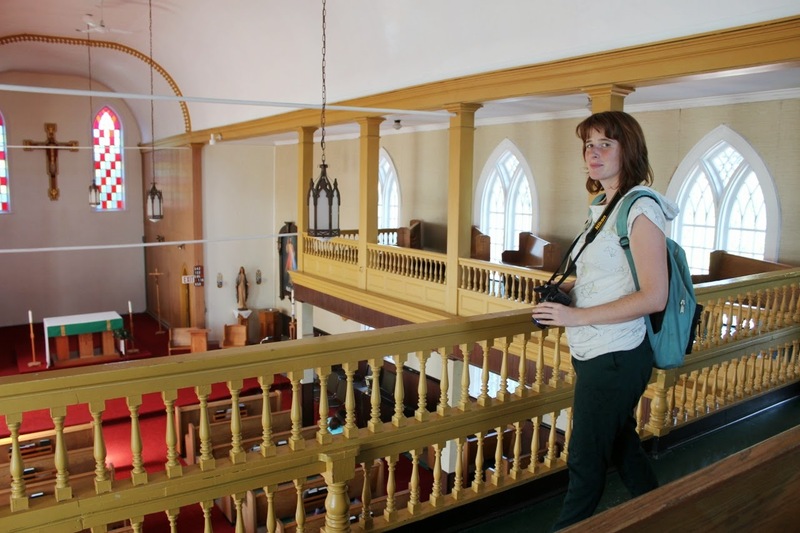 MA student Andrea McGuire as she explores the church next to the convent.